Previously known as Linger Rose, Serendipity & Grace is a boutique for handbags, accessories, and jewelry. They carry some of my favorite designers, like CCSkye, Linea Pelle, Mar y Sol, and GiGi New York - and they have an amazing sale section! They kindly sent me this adorable little crossbody bag by IIIBeCa, which will be a lovely piece for summer, and it also comes in a fabulous lilac shade if you are feeling a little more adventurous. Serendipity & Grace sent me these pieces for the purpose of this post. My views and opinions are my own. I love the easy, wekend vibe of this outfit. The bag and tunic are beautiful! That bag has such a great shape! :D And I looooove the tunic! 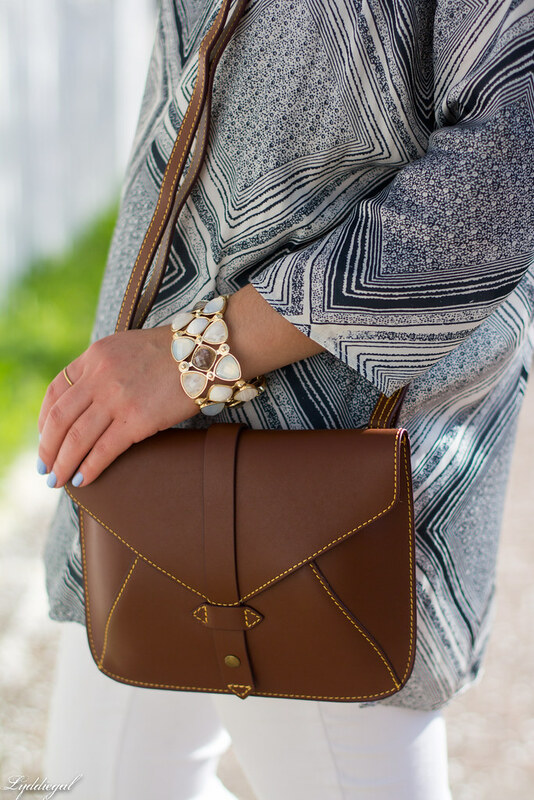 Super cute crossbody bag and love the tunic! Love this entire look! I kind of have an obsession with crossbody bags!! I love the longer tunic and that bag is very cute. I would have a hard time deciding between the brown and lilac colors. That is such a cute little bag - and it looks weirdly perfect with your awesome tunic. I love that tunic, it looks so comfortable! Such a gorgeous top! I love it with your white jeans. I'm in love with the tunic. Of course it was thrifted- I always seem to fall in love with pieces that are thrifted or no longer available in stores. Love how you paired it with white jeans, I bet it looks awesome with leggings too! Great tunic on you, really like the entire look. I adore that bag and what a great tunice. That little bag is gorgeous! Love the outfit. What a pretty tunic! I love that chic bag too! That bag is the cutest!! I love it! I love the design of that bag and the contrast stitching details. That's a cool top you're wearing! Great laid back yet chic outfit. 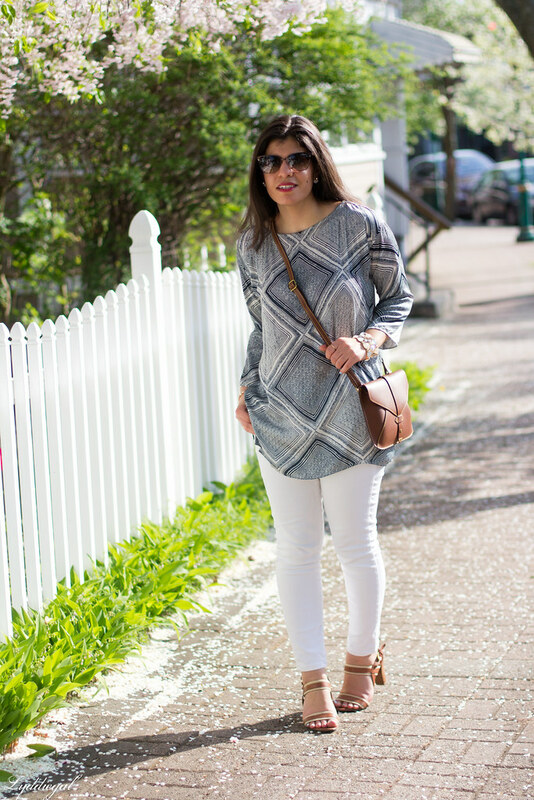 Love the neutral colors in this outfit. You look so comfy! 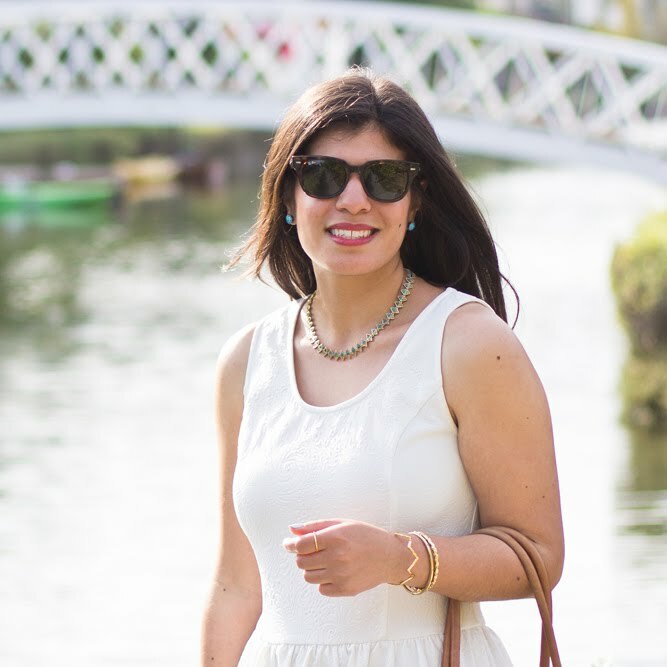 I am especially loving the white jeans. totally in love with this top on you...so chic! Digging that bag, girlfriend. Great pairing with those awesome sandals! 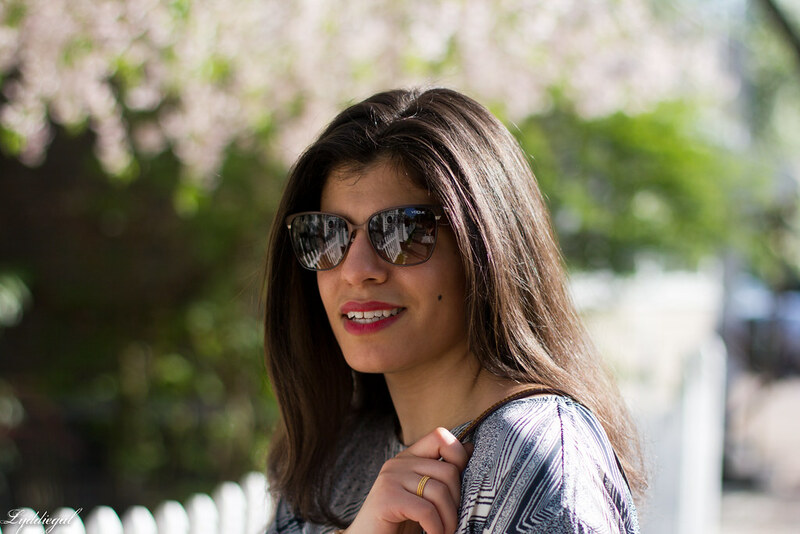 That tunic is to die for! I can't Believe you found it thrifting! It's perfect with the white jeans! 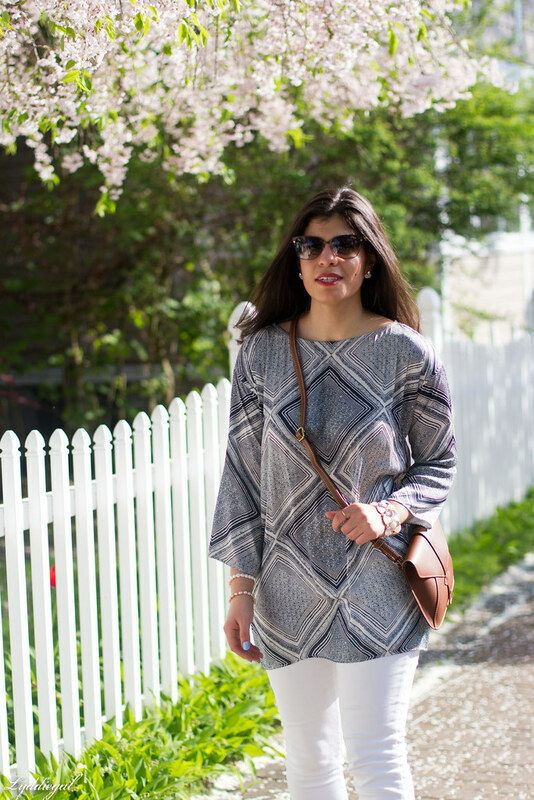 This tunic looks so pretty on you. The fit is really flattering, and I love it paired with your white jeans. Cute bag. Sounds like a great store/site. Love the bag! 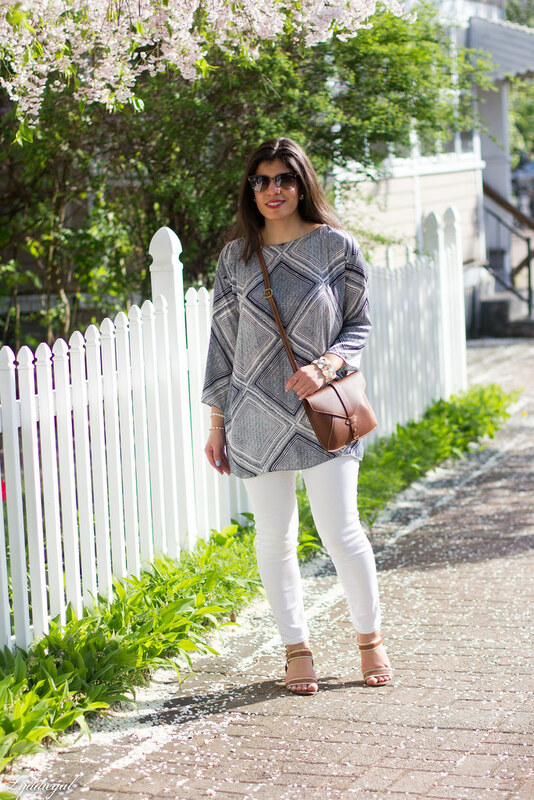 That tunic also looks great on you!